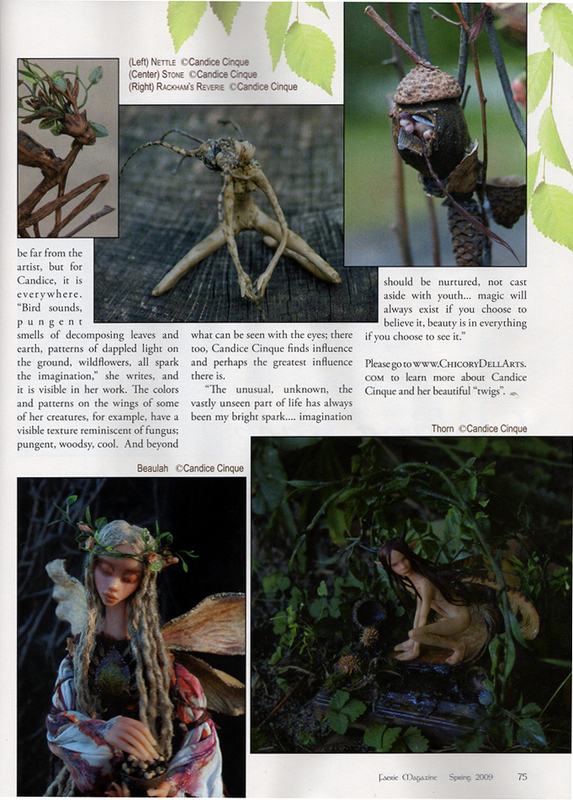 mysterious fae... appear as plant life and insects at a glance. Hi everyone..... starting to get settled in to the newly chill weather here... Thank goodness for our woodstove! last winter was 3 sweater weather, and sitting on heating pads in the sculpting room :). I just wanted to give everyone a quick update..... from now until the holiday season is over I will almost exclusively be sculpting faerie ornaments. I've been making armatures all week, and have 2 that are finished. They will be around 4" tall at the largest, and will be sold on ebay as well as my website. Starting prices on ebay will range from $45.00 to $65.00, and will be priced $65 to $75 on my website. If I have time I may work on a larger or more detailed piece, but you'll have to wait and see :). These pieces have a good amount of detail for the size, but would not be as carefully detailed as most of my other pieces, hence the price.... I want to make these a bit more affordable to the masses to give as gifts, etc. They will be available in a variety of colors, themes and poses. Here is one that is going up on ebay tomorrow evening, Artemesia... 4" tall. 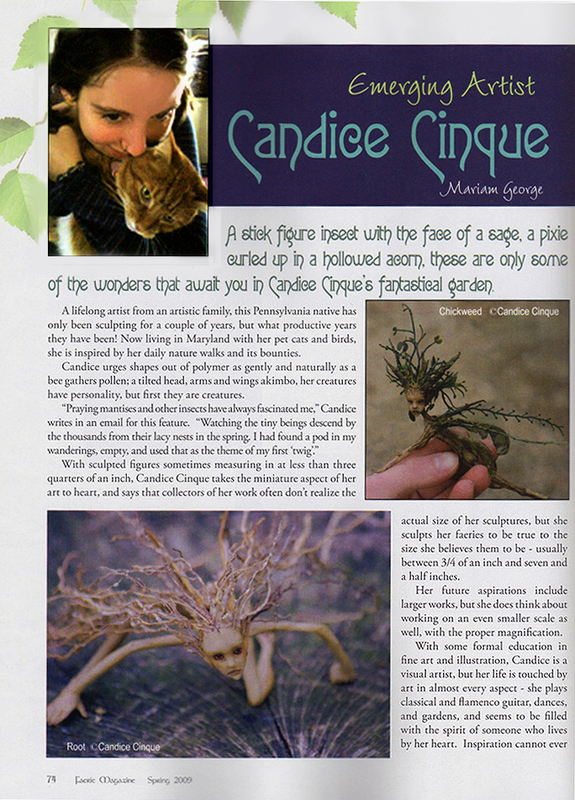 Another tiny root faerie. would be under 5"tall if standing. This will be my last root faerie until after the holidays folks...... all my efforts are to be going towards faerie ornaments... so check back soon because there will be many styles to choose from... micro minis on colored glass droplets, and flying faeries of all colors. They will be priced very affordably, from 45.00~ 75.00. My acorn gatherer is going up on ebay shortly :).